La Russa was just one of many who shared his thoughts in “The Life and Death of Darryl Kile,” a powerful and emotional documentary from MLB Network that premiered last night. And, to a man, each of those interviewed spoke more about the person Darryl was — not just the baseball player. And Darryl Kile was so much more than a baseball player — that much was very clear from the recollections of all. “He was a great father, he was a great husband, great guy, cared about people. That’s what I want to be in my life, and that’s who Darryl Kile was,” said Jeff Bagwell. “He was genuine. He was real. 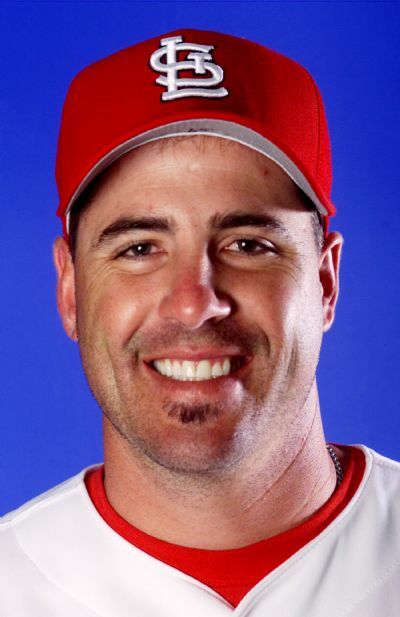 You want to pattern your life after what Darryl Kile did,” said Phil Nevin. The documentary, narrated by Bob Costas, focuses much on his Cardinals career — the final three of his 12 years in the majors. Yet seeing the footage of a 22-year-old Darryl making his big league debut for the Astros in 1991 and the final out of his no-hitter in 1993 makes you miss the true baseball talent he was. Plus there was talk, and video evidence, of that amazing 12-6 curveball. Not having seen it in 10 years, you almost forget how truly incredible it was. The personal stories add depth to much of the story of Darryl’s legacy, yet it’s the footage and recollections from the coverage of his death that bring about an emotional punch on their own. The story of June 22, 2002, is told from many of those involved, from Dave Veres and Walt Jocketty to Cardinals security director Joe Walsh and traveling secretary C.J. Cherre. How that Cardinals team dealt with the unbelievable loss is a story of both struggle and triumph that’s powerfully illustrated — Darryl Kile’s influence was definitely felt, and honored, through the rest of the season. Yet even with so much of the focus understandably on Darryl Kile’s baseball life, it is — as Mike Matheny said above — his legacy that lives on today and stands out as the most memorable facet of the entire documentary. For who wouldn’t want to have such an impact on the lives of those around you that 10 years after your death, your friends cry as they talk about how much you meant? That is a life well lived, even if cut terribly short, and an influence that continues. For a preview of “The Life and Death of Darryl Kile,” click here. MLB Network will rebroadcast the documentary today at noon and tomorrow at 4 p.m., both times Central. I wrote about Darryl Kile’s final inning on June 22, the 10th anniversary of his death. You can read that here. Other members of the United Cardinal Bloggers also wrote tributes to both Darryl and Jack Buck — find a link to all those posts here.